Left. Sophomore Ellie Hough’s water bottle, featuring one of her favorite stickers from her gap year. Photo contributed by Ellie Hough. The Instagram account @whitmemes shares photos that show the Whitman experience in a funny light. Screenshot from @whitmemes Instagram page. The Whitman community is formed in many ways – a common Encounters experience, living together in the dorms and even simple things like a walking across Ankeny every day. Students are forging new ways to create community on campus through social media — specifically Instagram and Facebook pages that revel in the commonalities that many students share once coming to Whitman as well as the stories they bring with them. 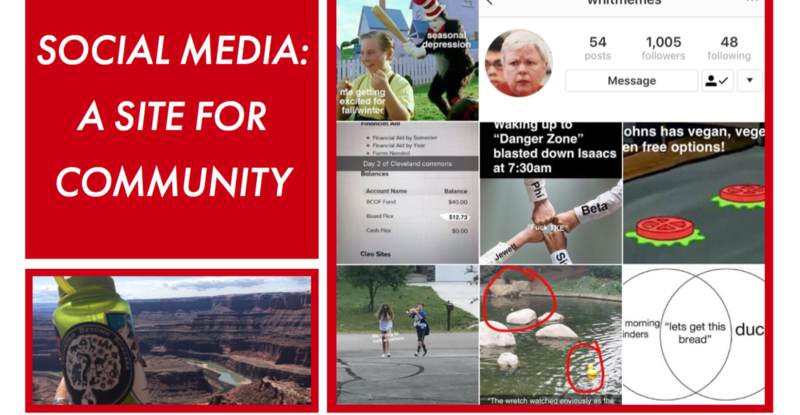 Instagram pages such as @whitmemes, @waterbottlesofwhitman and many more share what it means to be a Whittie through humor and stories that make up our community. Sophomore Ellie Hough started the @waterbottlesofwhitman Instagram account as a way to connect with the Whitman community and share people’s stories of what matter to them. In her posts, she shares a picture of the student featured as well as a close up of their favorite sticker on their water bottles, as well as a quote describing what this sticker means to them. Hough said her idea originated from her own nalgene, which she decorated with stickers that mattered to her. Most of her stickers came from places she lived during her gap year, including Spain and Peru. Hough said that one of her favorite stickers came from a trip she took to Berlin with her mom after visiting the Memorial for the Murdered Jews of Europe, which had a profound effect on her. “As trivial as it sounds, the sticker reminds me of how powerful that experience was,” said Hough. In creating the Instagram page, Hough said she was inspired by the blog Humans of New York. “In this idea I’m wanting to share a small narrative about someone and the people that make up our campus community,” said Hough. Hough said she was excited about using the platform of Instagram because it’s an effective way to share stories through both photos and captions, and one that many people are already using. Hough said that she often saw people walking around Whitman with cool stickers on their water bottles, and she was interested in sharing people’s stories of what those stickers meant to them. Hough said that her favorite part about her Instagram page is getting to know a little bit more about the people who make up this campus through an object that is so essential and basic to everyday life. Lauren Mendoza, a first year from Minnesota, was featured on Hough’s page, sharing one of her favorite stickers. In the post, Mendoza focused on a sticker she got after doing a backpacking trip in the Sawtooth Mountains and seeing the eclipse two years back. Mendoza said that she had fun being a part of this Instagram page as she sees it forming community through sharing stories. In her posts so far, Hough has noticed a range in stories behind people’s stickers. One thing that surprised her while interviewing students was how political the stickers could be. Hough said one of her favorites was one she didn’t post on time: A Public Service Announcement about getting a flu shot. However, Hough said that not all stickers are grounded in political belief or action. “Some other people really like how a sticker aesthetically looks and there isn’t much of a story behind it more than that,” said Hough. Hough said she has also noticed a recurring theme of connection to the outdoors in the stickers she has featured on her page. Going forward, Hough says that she wants to create a more unified page featuring a wider range of students. Another account which fosters community at Whitman focuses more on humor and shared experiences than on individual expression. The account is @whitmemes, which shares memes relating to the Whitman experience, including Encounters, Bon Appetit and typical Whittie phrases. The account currently has more than 1,000 followers. Because the creators of the @whitmemes account wanted to remain anonymous, we corresponded over Instagram direct message. When starting the account, the admins said that they were interested in creating a page for shared humor and memes that they hadn’t found elsewhere. 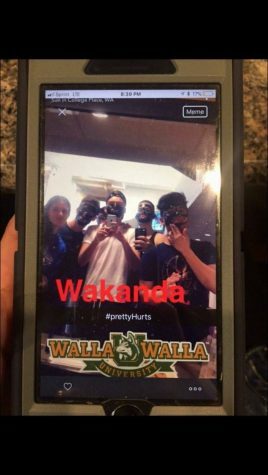 The admins of the page said that their submissions are 50-50 in terms of who creates the memes: half are done by the admins themselves, whereas half come from submissions from students and other meme pages, like the Walla Walla University meme pages. The admins said that one of their favorite parts about running the account is the anonymity that they are granted with it. When considering which memes to share, the admins try to post ones that are both humorous and inclusive. 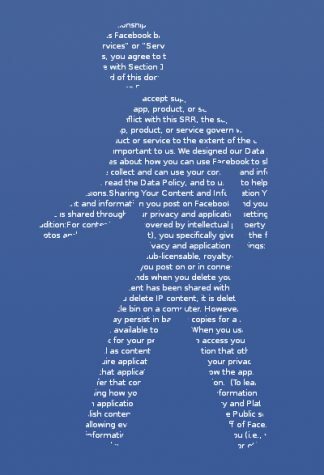 While one post had to be taken down, most have succeeded in their goal of creating an account that Whitman students find both funny and welcoming.